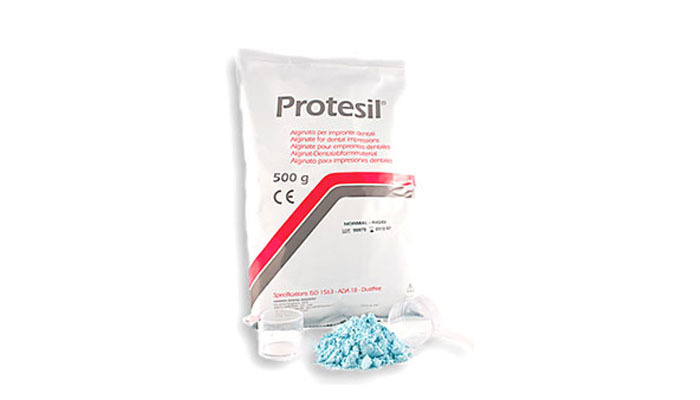 Protesil Normal Rigid alginate for high precision surgery works. Protesil Normal Rigid is specifically indicated for the taking of Dental impressions to be used in the manufacturing of fix prosthesis and Schreinmaker technique. The product complying with: ISO 1563, ADA 18.